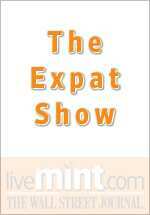 Welcome to the Expat podcast, the show you should listen to if you’re planning on moving to Delhi. 4a9f0840-ae3b-11dd-b5b9-000b5dabf613.flvWe talk you through everything from finding a home and furnishing it, to the best places to eat, shop and hang out. In this podcast Melissa, Aruna and Ayeshea tell you exactly what it is the show aims to do and a little bit about themselves.